These Terms of Conditions were last updated on 01 August 2017. By accessing and using the Estingo Network web site, estingo.com (the “Web Site”), you are agreeing to be legally bound by these Terms & Conditions. The terms “you” and “User” refer to anyone who accesses the Estingo Network Web Site. Estingo Network may change these Terms & Conditions at any time without notice. Changes will be posted on www.estingo network.com under “Terms & Conditions”. Estingo Network hereby grants you a non-exclusive, non-transferable, limited license to access and use the Web Site for the fees, if applicable, and under the terms set forth below. The Web Site and the content, including, but not limited to, text, data, reports, opinions, images, photos, graphics, graphs, charts, animations and video (the “Content”), displayed on the Web Site, may be used only for your personal and non-commercial use. Except as otherwise permitted under these Terms & Conditions, you agree not to copy, reproduce, modify, create derivative works from, or store any Content, in whole or in part, from the Web Site or to display, perform, publish, distribute, transmit, broadcast or circulate any Content to anyone, or for any commercial purpose, without the express prior written consent of Estingo Network! The Content is the exclusive property of Estingo Network or its licensors, and is protected by copyright and other intellectual property laws. All trade names, trademarks, service marks and other product and service names and logos on the Web Site and within the Content are proprietary to their respective owners and are protected by applicable trademark and copyright laws. Any of the trademarks, service marks or logos (collectively, the “Marks”) displayed on the Web Site may be registered or unregistered marks of Estingo Network or others. Nothing contained on this Web Site should be construed as granting any license or right to use any of the Marks displayed on the Web Site without the express written permission of Estingo Network or a third party owner of such Marks. Any unauthorized uses of the Marks or any other Content are strictly prohibited. To request permission to use any Content or other Estingo Network material, please contact Estingo Network at care@estingo.com…!! As part of the registration process, you must select a username and password and provideEstingo Network with accurate, complete, and updated information. Failure to do so constitutes a breach of this Agreement, which may result in immediate termination of your access. You may, through hypertext or other computer links, gain access to web sites operated by persons other than Estingo Network Such hyperlinks are provided for your reference and convenience only, and are the exclusive responsibility of such web sites’ owners. You agree that Estingo Network is not responsible for the content or operation of such web sites, and that Estingo Network shall have no liability to you or any other person or entity for the use of third party web sites. Except as described below, a hyperlink from this Web Site to another web site does not imply or mean that Estingo Network endorses the content on that web site or the operator or operations of that site. You are solely responsible for determining the extent to which you may use any content at any other web sites to which you link from the Estingo Network Web Site. The User grants to Estingo Network Technologies & Data Services the non-exclusive right to use all material entered into the Estingo Network Web site by the User (other than third-party material transmitted through private electronic mail) in any of The Estingo Network Technologies & Data Services’s print or electronic publications (“Other Content”). Users entering material into the Estingo Network Web site are responsible for the Other Content. 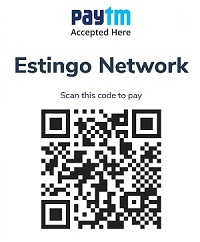 You may not input or distribute any material through the Estingo Network Web Site that is promotional in nature, including solicitations for funds or business, without the prior written authorization of Estingo Network. The User agrees to indemnify Estingo Network and estingo network Technologies & Data Services from all damages, liabilities, costs, charges and expenses, including reasonable attorneys’ fees, that Estingo Network Technologies & Data Services, their affiliates, employees, and authorized representatives may incur as a result of either: (i) the User’s breach of this Agreement; or (ii) material entered into the Estingo Network Web site with the use of the User’s screen name or password. All information, reports, content and access rights purchased on Estingo Network are non refundable. This Agreement will continue until terminated by either Estingo Network Pvt.Ltd or you. Either party can terminate the Agreement by notifying the other party by telephone or electronic mail of the decision to terminate. Estingo Network may discontinue or change the Estingo Network Web Site or its availability to you, at any time. This Agreement constitutes the entire agreement between the parties relating to the Estingo Network Web site and supersedes any and all other agreements, oral or in writing, with respect to the Estingo Network Web Site. The failure of Estingo Network to insist upon strict compliance with any term of this Agreement shall not be construed as a waiver with regard to any subsequent failure to comply with such term or provision. This Agreement is personal to you, and you may not assign your rights or obligations to anyone. If any provision in this Agreement is invalid or unenforceable under applicable law, the remaining provisions will continue in full force and effect. This Agreement, your rights and obligations, and all actions contemplated by this Agreement shall be governed by the laws of India and subject to jurisdiction of courts of Bangalore, as if the Agreement was a contract wholly entered into and wholly performed within Bangalore, and any litigation related to this Agreement shall be brought exclusively in the courts of Bangalore. All rights not expressly granted herein are reserved.